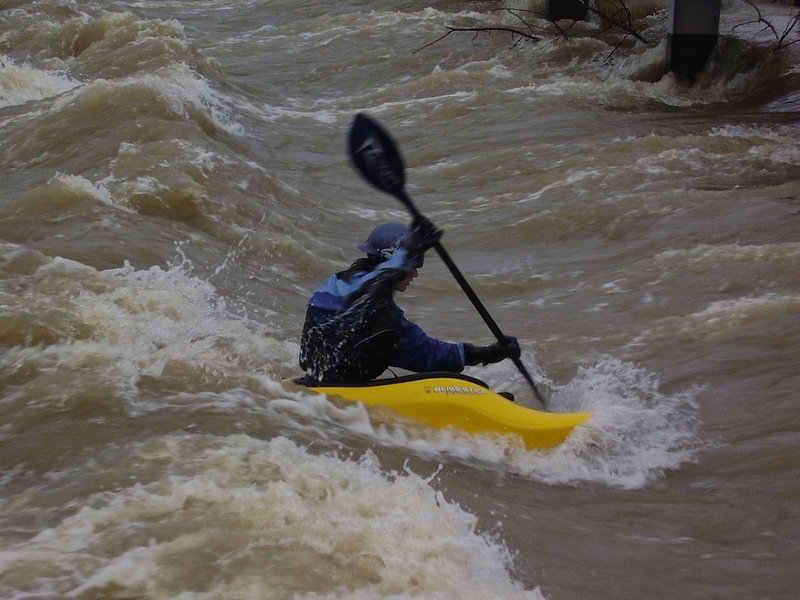 I’m beginning to think that the water gods have got it in for me at the moment because every time I plan to take my boat out on the river, the fates conspire to stop me. My brother, my wife and I have used our old Seamaster Admiral cabin cruiser precisely once this year – when it rained for most of the trip between Shepperton and Staines. Sunday just gone was predicted to be a better day – dry with light south-westerly winds and the occasional glimpse of that funny round yellow thing up in the sky – I forget what it’s called. Both of those predictions did indeed turn out to be true but what we’d failed to allow for was the huge amounts of rain that had fallen in the preceding week, which meant that the Thames was flowing incredibly fast and the lock-keepers were all displaying red boards, which means you have to be daft to try navigating on the river. Mind you, we weren’t the only ones to suffer because the annual Thames Valley Skiff Club regatta that should have been held on Walton Reach also had to be cancelled because of the poor river conditions – commiserations to all involved although I gather that they went ahead and had a party anyway. S OMEONE asked me recently what the London Stone in Staines was all about – so here’s the answer. The original stone – a replica of which now stands in the Lammas just upstream from Staines Bridge – was put there in 1285 to mark the western edge of the area of the Thames controlled by the Corporation of London. King Richard I sold the rights over the river – which included fishing rights and the right to licence watermen – to the Corporation when he was desperately trying to raise money to finance his Crusade. But the Stone also marked the dividing line between the upper and lower Thames and was the upper limit of the tidal river before the downstream locks were built. 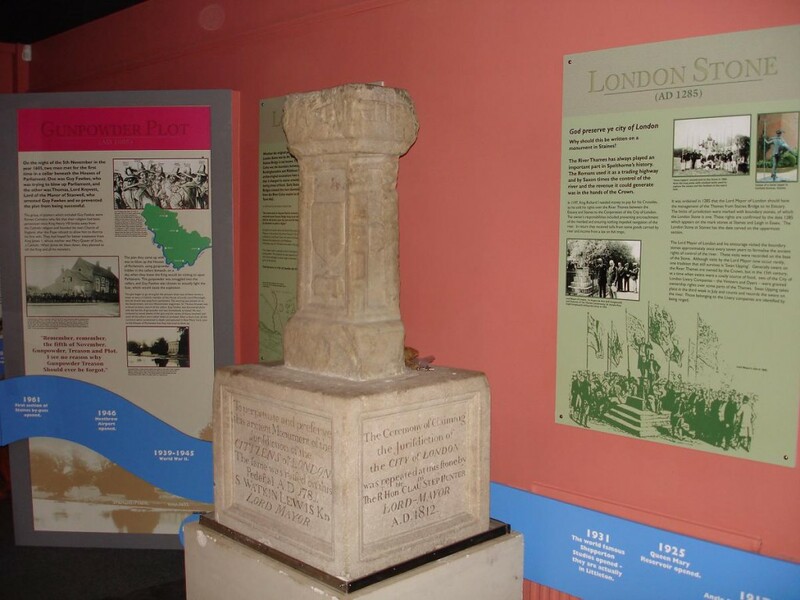 The original Stone is now housed in the Spelthorne Museum. However, there is no truth in the rumour that the London Stone was responsible for giving Staines its name – Staines derives from the old Saxon word ‘stana’ means stones. But the stones in question were a group of nine mentioned in the charter of Chertsey Abbey, marking the boundary of the Abbey lands. While researching that, I also discovered that the name ‘Laleham’ means village of willows or twigs – apparently a reference to the fact that the village is almost completely hidden from the river by willows on the bank. I love coming across bits and pieces like that, don’t you?